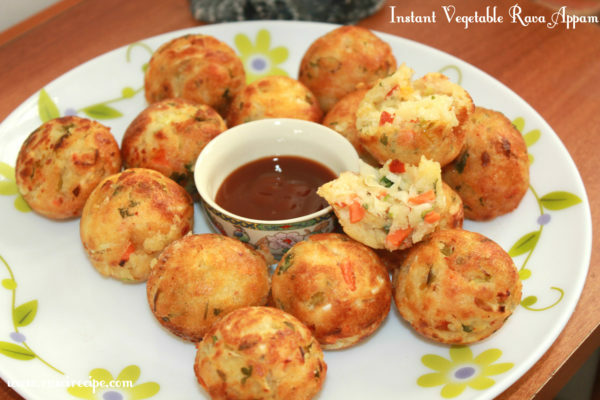 Today’s recipe is ‘Instant Vegetable Rava Appam’. 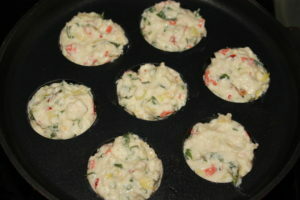 It is a recipe which is healthy and quick to prepare. 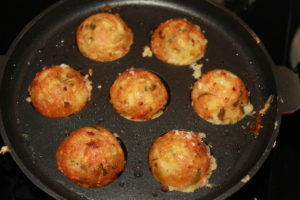 Vegetable rava appam is basically small bite size semolina balls which also includes lots of vegetables of your choice. You can even pack appams in your kid’s lunchbox. 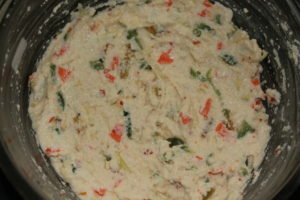 Serve it with coconut chutney or even ketchup, it goes well with every dip and chutney. Semolina, curd/ yoghurt, chopped mix vegetables (capsicum, carrot, and cabbage), chopped coriander leaves, fruit salt, salt, and red chilli flakes. 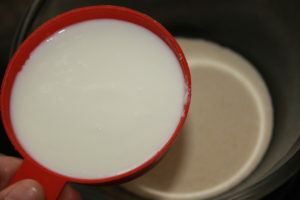 It is a very easy way of preparing appam as it requires no grinding. All you need is to soak semolina in curd for 10-15 mins. 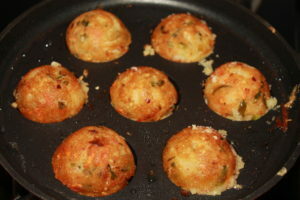 As the appam pan is non-stick it requires very less oil to cook appam crispy from outside and soft inside. 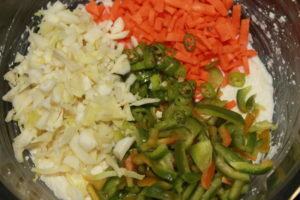 Chop vegetables very fine so that they cook completely in a short time. Appam is a healthy snack which is a quite famous snack of South India, it is getting popular in north India also these days. 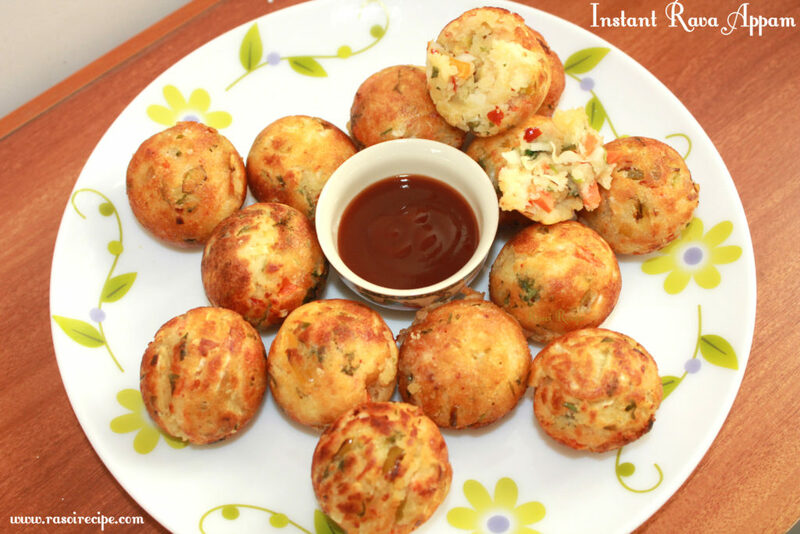 You can also use appam pan to prepare aloo vada or sabudana vada to avoid deep-frying. For more south Indian recipe, you can check – Tomato Rasam | South Indian Recipe , Medu Vada | South Indian Medu Vada Recipe, Rava Upma | Semolina Porridge Recipe, Rava Dosa (Semolina Pancake/Crepe), Neer Dosa (Rice Crêpe – South India Cuisine), Hyderabadi Bagara Baingan (Spicy Aubergine Curry). You can share your re-creation of this recipe or any other recipe from Rasoi Recipe. 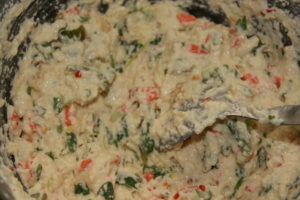 You can share it on Facebook page or directly email it to me on rasoirecipe@gmail.com. I would love to hear from you guys. If you have any suggestions or if you want to share your views or appreciation, you can leave your message in the comment section below. 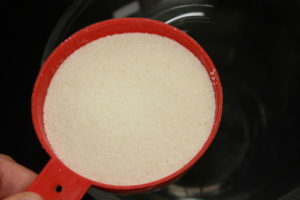 In a bowl take semolina. 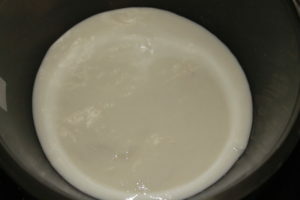 Add curd in the rava/semolina, keep rava soaked in curd for 10-15 mins. 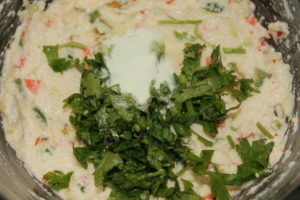 In the curd rava mix, add finely chopped carrot, capsicum, cabbage and green chillies. Mix well. 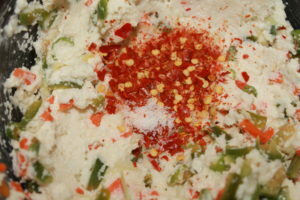 Next, add red chilli flakes and salt. Mix well. Finally, just before cooking add chopped coriander and fruit salt. 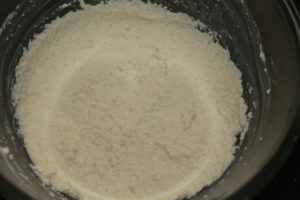 Mix the batter to make it smooth and fluffy. Grease the appam pan well. 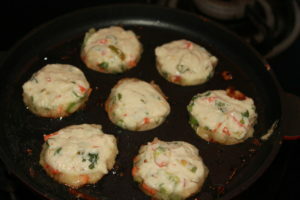 Pour the vegetable mix in the appam pan. Cook it well from one side on low-medium flame. 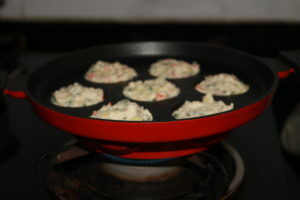 Pour a little amount of oil on each mould and flip the appam. Cook crisp and golden brown from both sides. Serve it hot with ketchup/ chutney!